I have completed my PG and want to do part time Phd from the Bharathiar University. Can you please provide me the Phd part time rules and regulations for the Bharathiar University? Also provide me the Phd regulations in the PDF format for my convenience? 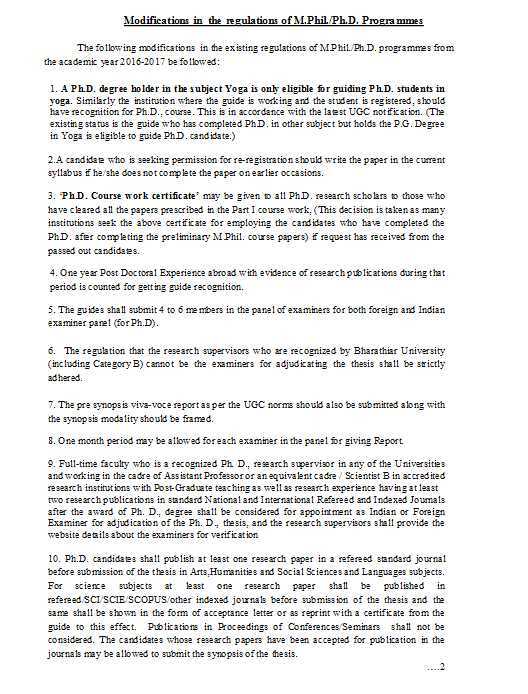 I want to know PHD program rules and regulations fixed by Bharathiar University, here will you please help me? Donâ€™t worry I will let you know Bharathiar University, PHD program rules and regulations so that you can get idea. A Ph.D. degree holder in the subject Yoga is only eligible for guiding Ph.D. students in yoga. Similarly the institution where the guide is working and the student is registered, should have recognition for Ph.D., course. One year Post Doctoral Experience abroad with evidence of research publications during that period is counted for getting guide recognition. The guides shall submit 4 to 6 members in the panel of examiners for both foreign and Indian examiner panel (for Ph.D). 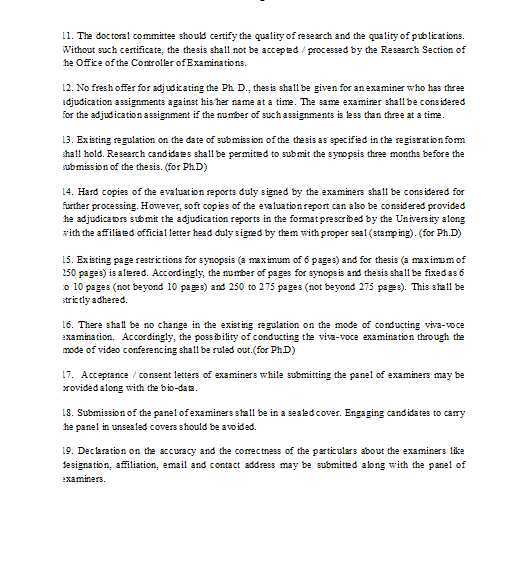 The regulation that the research supervisors who are recognized by Bharathiar University (including Category B) cannot be the examiners for adjudicating the thesis shall be strictly adhered. How many number of minimum pages is fixed for Ph. D thesis?